Hello, we are going to discuss the 11 Natural Ways To Treat Hair Loss. Every woman wants to have a nice long thick hair, but this is not usually the case. For some ladies, they have strong hair while some do not have. Hair loss is also experienced by men but mostly in women. Castor oil is known to be very important because it aids hair growth and thereby preventing hair loss. How to use this, warm up Castor oil and gently massage it into your scalp. Wrap your hair with hot towel and leave for 30 minutes. Lemon Juice has specific function in that it focuses on the root of the hair, strengthens it and prevents the hair from falling. How to use this, get lemon fruits and squeeze out the juice, wash your hair and then apply the juice on it. Leave for 30 minutes. Potato Puree is another way to treat hair loss and i have used this method before and it really worked out fine. How to use it, peel the potato, blend it, mix it with some amount of honey and water, make the mixture into paste and apply to the scalp of your hair gently. Leave it for 30 minutes before washing. Olive Oil has so many importance and that is the reason i recommend it. Olive Oil promotes hair growth thereby preventing hair loss. How to use it, warm up the olive oil and massage it into your scalp. Using a hot towel, wrap your hair and leave it for about 20 minutes and wash off. Egg white is very rich in vitamin B Protein which are essential nutrients fro hair growth stimulation. How to use it, separate the egg white from the yolk the massage the egg white into the scalp of your hair. You can decide to mix the egg white with olive oil. Cover your hair with a shower cap an wash off after an hour. 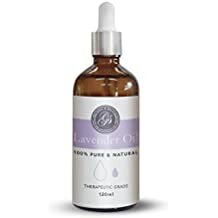 Lavender Oil is also a beauty oil that prevents hair loss. And you can buy it in Amazon by clicking on the image. How to use it, Mix lavender oil with olive oil or coconut oil then apply it to your hair, massage it gently in your scalp. Cover your hair with a shower cap then leave it for about an hour before washing. Green Tea increases the metabolism and growth of the hair. How to use, Rinse your hair with green tea after washing. Pour an amount of green tea into hot water, allow it to cool and use it to rinse your hair. Don’t forget to massage into the scalp while rinsing your hair. Coconut oil moisturizes the hair and keeps it healthy due to its fats and vitamin E content. It is also rich in protein and potassium which are both good in enhancing the hair growth. Coconut oil also helps strengthens the hair strands on the root of the hair. How to use this, massage the coconut oil into the scalp of your hair gently, cover your hair and leave for 30 minutes before washing. Vitamin E is very important because it contains anti-oxidants and aids the circulation of blood around the scalp. How to use this, massage the oil gently into the scalp and leave it throughout the night. Massage your hair regularly with this oil. Aloe Vera functions as a buffer and balances the pH level of your scalp thereby promoting your hair growth. How to use it, after extracting the gel from the pulp, apply it to your hair, massage it gently into the scalp and wash it off after 20 minutes. 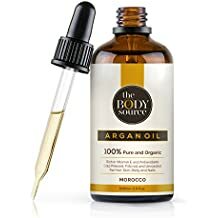 Argan oil moisturizes the hair thereby enhancing the growth of the hair. It helps repair your damaged hair and also retain the natural oil produced in your hair. Massage into scalp gently and wash off after one hour. Finally, these are the 11 Natural Ways To Treat Hair Loss. Follow the process and share your testimonies on our comment box below the text. Thank You. Really amazed at the positive effect from aloe vera .. Thanks to this blog .. Thank you for reading from here. Wow good to hear. Thank You.